A couple of weeks ago, my husband and I took a little trip to Austin, Texas. We had the most amazing "pecan pie" from Salt Lick BBQ. Except it wasn't quite a pecan pie. 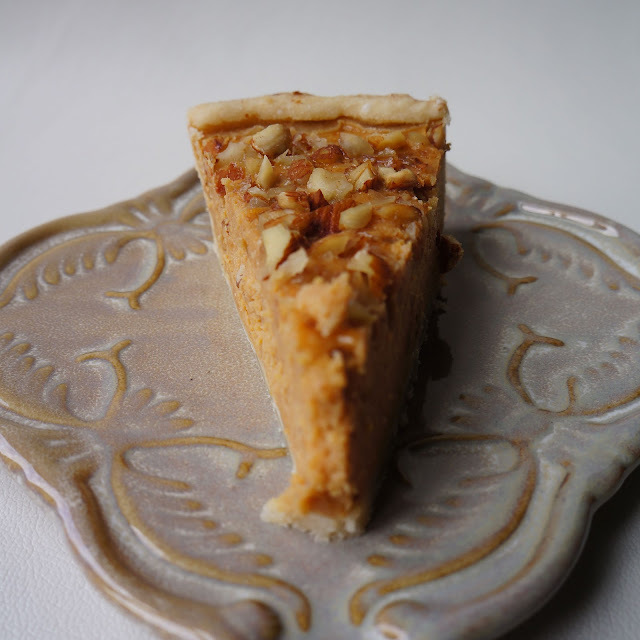 We thought of it more as a sweet potato pie with candied pecans on it. It was irresistibly delicious! This slice of heaven inspired me to whip up my own when I got home. 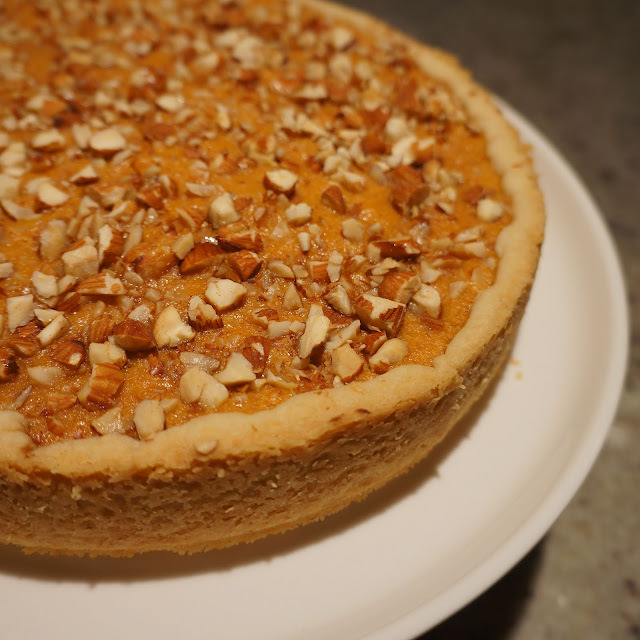 I did some research and came across a sweet potato pie recipe from Alton Brown. This recipe was pretty similar to the one we had in Austin with the pecans on top. Place mashed sweet potatoes in the bowl of a stand mixer and beat with the paddle attachment. Add yogurt, brown sugar, cinnamon, nutmeg, eggs, and salt, to taste, and beat until well combined. Pour this batter into prepared pie shell and place onto a sheet pan. Sprinkle almonds on top and drizzle with maple syrup. Bake for 50 to 55 minutes or until the custard reaches 165 to 180 degrees. Remove from oven and cool. Keep refrigerated after cooling.